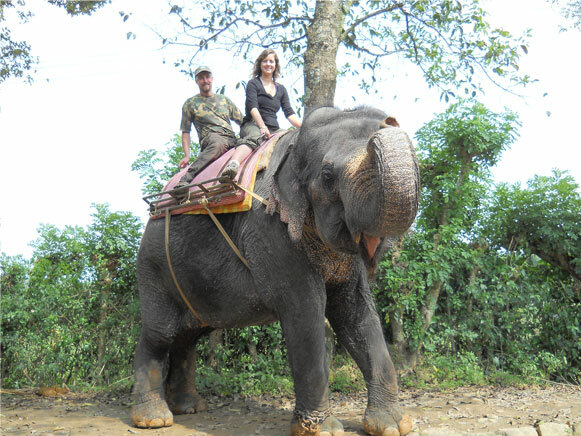 Taking a ride on the elephant is a great experience and this can be performed from Periyar Wildlife Sanctuary or any such place. Trekking in forests is a great trip which is an adventurous activity. The trekking can be one day or more and includes night trekking also. This enables one to have a close look of the wildlife. One of the main attractions and a unique feature of Kochi harbor is the Chinese fishing nets which are huge nets hung from a pole. Select the fish of your choice from the fisherman and get it fried from local shops. This is available in Vasco da Gama square in Fort Kochi and also in Malabar area. Enjoy the beautiful snake boat race conducted in the backwaters of Kerala. The famous boat races are the Champakulam boat race and the Nehru Trophy boat race. Besides there are many other boat races also conducted. Take a backwater cruise in the houseboats which is an unforgettable experience. There are many luxurious houseboats will all modern facilities. Taking a tour in the backwaters in small boats is also good. One can rejuvenate themselves by taking an ayurvedic massage. There are also medicated bath and other therapies available that gives relief to a person’s mind and body. The bullock race which is conducted in Kasaragod is a thrilling event to be watched. There is also the Kaalappoottu which is an agrarian sport activity in Palakkad. The various art forms in Kerala such as Kathakali, Mohiniyattam and Theyyam are worth watching. There are numerous waterfalls in Kerala. The clear water from most of the waterfalls are believed to have medicinal properties also. Taking a bath in the waterfalls especially during hot weather will refresh a person. Aranmula mirror which is a special type of mirror unique to Aranmula in Kerala is a priceless possession. It is made up of alloy of several metals and this type of mirror is made only in this place. The special alloy is kept secret and only 2 families in Aranmula who manufacture this know its preparation which is transferred from generations. If you plan to buy one, it is required to book in advance. Thrissur Pooram which is a festival conducted from the Vadakkumnatha Temple in Thrissur should not be missed. The pakkamelam, kudamattom, fireworks etc gives a treat to the ears and eyes. The art galleries in Kerala are said to possess the famous art works of great painters Raja Ravi Varma and many great artists. Theyyam is a ritual art form conducted in the temples in the Malabar area. Panchavadyam is an orchestra comprising of 5 instruments and is played mainly in temples during the festivals. There are tree houses which are small houses built on top of trees. Those who love nature and wish to spent a day with nature can stay in tree houses. Some of the best beaches in the world are in Kerala. The blue clear water of the sea is worth watching. One can also engage in various water sport activities from the beaches. Watch how coir is processed by hand using the traditional hand spindle to make items such as ropes, mats, decorative etc. You can also try them out. 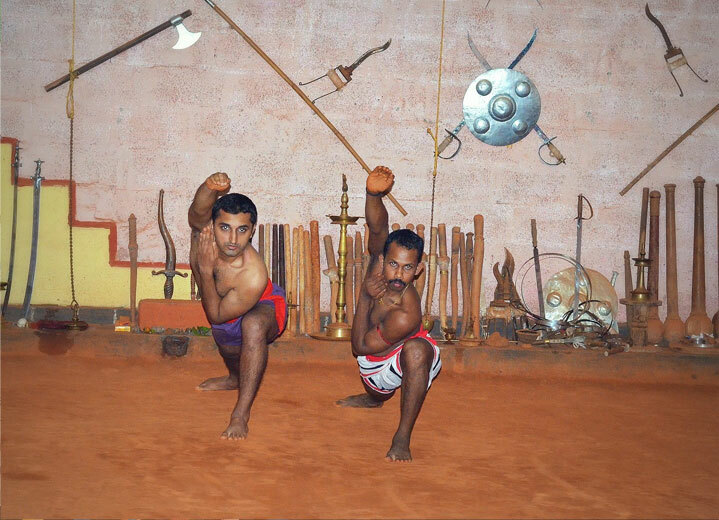 Kalaripayattu which is the martial art form of Kerala can be watched and if needed one can also attend classes to study this art. Traditional weapons such as vaal, paricha, urumi etc are also used in this. Some snacks which are the special items of Kerala can be tasted. It includes Ethakka Chips made of banana, Sarkara varatti made of jaggery coated banana, Chakka chips made of jackfruit, tapioca chips, kuzhalappam, achappam etc. Some of the best breakfasts in the World can be tasted from Kerala which includes idli, dosa, masala dosa, vellayappam, uppuma, puttu. This is available from luxurious hotels to street hotels and is usually very cheap. The toddy that has been obtained from the coconut palm is very tasty and is good to take a taste of it. Kerala known for the spices has several hills with spice plantations. The hill stations include Munnar, Devikulam etc. The climate is cool and is a must visit place in Kerala. In order to explore the nearby places, it is good to take a ride in the autorikshaws. Kerala women are famous for their craze for gold ornaments. The gold ornaments here are very beautifully designed which every women love to have. Make sure to buy any gold items from here. There are a wide variety of handicrafts in Kerala which include wood products, coir items, sandalwood articles, jewellery etc. Some other handicrafts articles carved in wood include that of elephants, snake boats, jewel boxes etc. Buy any such article in memory of your trip to Kerala. Arabian dhows can be seen in Beypore in Kozhikode. There are a team of experts who makes vessels in wood and it might take for around 2 years to make one. It is locally called as Uru. A folk dance form called Kaikottikali is performed during the Onam. It is performed by women and they dance according to the tune and the players themselves sing along and dance. It is worth watching. The feast which includes variety of vegetarian items and rice is called as Sadhya. It is prepared mainly during marriage and festivals like Onam and Vishu. The items included in a Sadhya are vegetarian dishes like Sambhar, Aviyal, koottu curry, olan, kaalan, cabbage thoran, pachadi, parippu curry, rasam, pulinkuri along with pickle, sarkara varatti, papad, banana, and 2 or 3 varieties of payasam. The markets in Kerala is a best place for watching and the view of the fruits, vegetables and variety of spices is very beautiful. 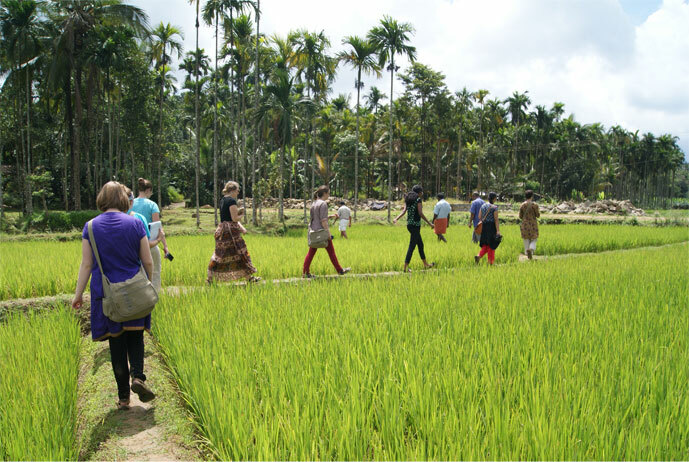 There are paddy fields in Kerala and taking a walk through the fields is a great experience. The lush green field around and the water passages along the field is a beautiful sight. The traditional method of irrigating the field using a traditional treadmill manually is still in practice among the local farmers. Watch the method of such irrigation and if possible try to do so. Wear the traditional costume of Kerala which is an off-white colored cloth with golden colored border and is 5 ½ meters in length. These sarees are specially woven from handlooms. If you are visiting Kerala during Onam season, then make a try to design beautiful floral decorations in the courtyard. Watch the convention at Maramon which is the largest Christian convention of Asia. 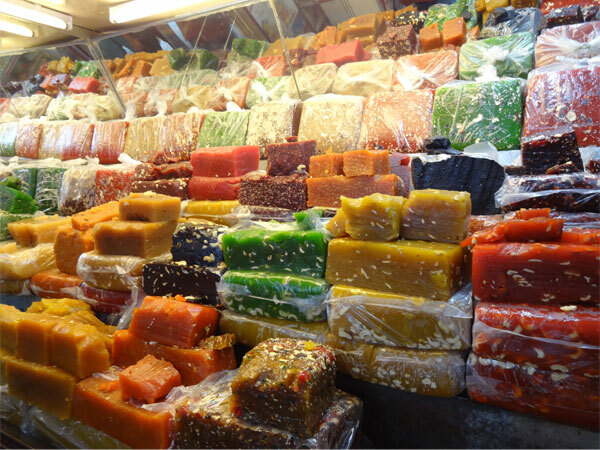 There is a famous street in Kozhikode named as Mittai Street where there are wide varieties of sweet food items such as jillebi, laddu, halwas etc available. Payasam which is a dessert made of milk with vermicelli or rice is a very sweet dish. There are various flavors in which payasams are made. Taste any payasam from Kerala. The palaces and museums in Kerala have large mural paintings done on the walls. It decorates them and most of them are centuries old. The ‘Gajendra moksham’ mural in Krishnapuram Palace is the largest of its kind here. The traditional homes in Kerala are called as Naalukettu which is a quadrangular building. They are said to be at least 50 years old and are perfect examples of excellent wood works and beautiful antique furniture. In traditional Kerala homes, the women prepare food in earthenware. The dishes prepared in earthenware are said to have a special taste. Some of the hotels in Kerala have resorts and staying there is a great experience. These resorts have all the luxurious facilities and in some resorts some evening shows are conducted to entertain the tourists.